Just thought I'd give y'all a quick reminder that today is the last day to enter to win The Dawn Country. The contest will end at 11:59 pm tonight and a winner will be announced tomorrow around 10:00 am. So if you haven't yet enter, but still want in, just go HERE. You can also check out my review of The Dawn Country and People of the Longhouse to see what I thought about them. Best of luck to everyone who has entered. The Emerald Atlas ARC (Books of Beginnning, 1) by John Stephens, April 5, 2010; 432 pages. Published by Knopf Books for Young Readers. Source: Review/Won in contest. Kate, Michael, and Emma have been in one orphanage after another for the last ten years, passed along like lost baggage. So The Emerald Atlas had been sitting on my TBR for maybe two months, and with its release date coming up I decided it was high time that I got around to reading it. Since it sat for sooo long on my TBR, I had plenty of time to forget everything I've heard about it that way I could start off reading it without any expectations at all (I hate it when I have high hopes for a book and then it falls flat). I think the author did an excellent job with setting the story up in the prologue by giving the reader just a glimpse into how the children ending up in their current situation, plus it totally gave the book a whole mysterious air and helped to set the tone and pace for the remainder of the book. 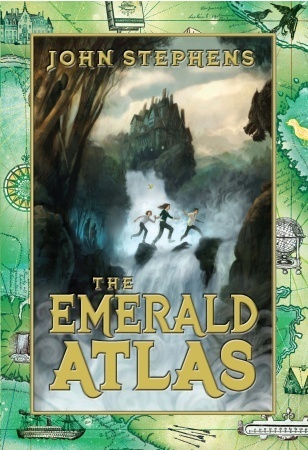 One of the reasons that I enjoyed The Emerald Atlas so much was that it kind of reminded me a bit of The Chronicles of Narnia (which I absolutely love) and A Series of Unfortunate Events. 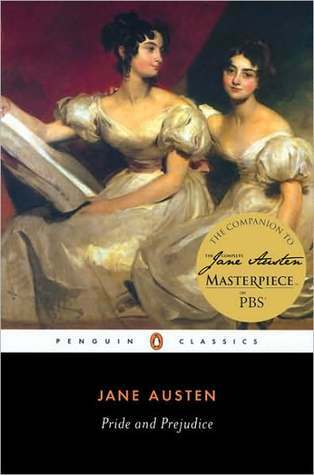 Although it brought to mind both series of books, it didn't detract any from the actual story or its originality. I loved the depth that each of the three children, Kate, Michael and Emma, had. I really liked getting into the heads of the three kids and how as the book went along you learned more about each one of them and their little quirks; along with how well the author was able to describe how broken each of them were. So good. My favorite part of The Emerald Atlas would have to be the writing. It just completely swept me in from the first page with how well-crafted the world and characters were. Either I took too long to write this review and do not remember if there was anything, I did not like about the book...or I just really liked it and have no complaints. I leave that up to you the reader to decide upon. Final Verdict: The Emerald Atlas is a terrific MG thrill ride that will most likely entertain even the most reluctant reader. With so much left unfinshed at the end of book one, I am definitely looking forward to reading the next book in the series whenever it comes out. It has a fair amount of action violence, but no swearing or adult situations. The Emerald Atlas earns 5 out of 5 pineapples. 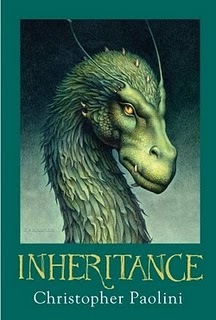 Inheritance (The Inheritance Cycle, 4) by Christopher Paolini, Nov 8, 2011. Published by Knopf Books for Young Readers. While I'm excited that I'll finally be able to know how it all ends, I admit that I'm a little sad to see the series draw to a close. Mainly because when I first read Eragon it was because my mom picked it up on a whim thinking that it would be something I'd enjoy, which it definitely turned out to be. I'm so excited about the last book that (with much support from other fans of the series) I'm hosting a Re-read for the entire series. Go HERE for all the deets and to join. I'll make this quick (I promise). The lovelies authors over at YATopia are celebrating their much deserved passing of 200 followers with an incredible giveaway. So go forth and check their awesome blog.
" I promised a while back that I would do a giveaway when we reached 200 followers. And I don't know if y'all noticed or not? 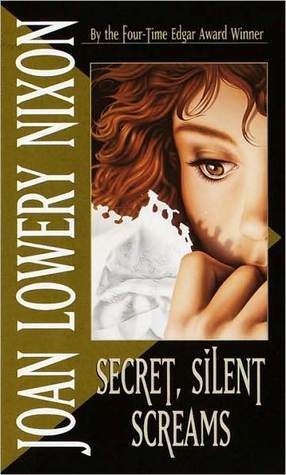 But we've..."
This week I had the hardest time picking which book to take my teaser from, but after much consideration I have chosen Secret, Silent Screams by Joan Lowery Nixon. Enjoy. She looked into the hall mirror at the girl with terrified eyes, whose face was as pale as her cloud of hair, and whispered, page 173. Today I have the pleasure of having Ramona Wray stop by. She was kind enough to answer a few questions and too talk about some of her favorite authors. Ramona Wray is not someone who always knew she wanted to be a writer. Even though she would scribble incessantly, she never considered turning her favorite pastime into a career. But at sixteen, while shooting pool with friends, she was quite amazed to hear someone on the local radio reciting one of her poems. It occurred to her then that she could aim higher than the school newspaper for publishing her literary endeavors. A few years later, she left Romania, taking nothing with her but a suitcase chock-full of dreams and her grandparents' stories about vampires, witches, faeries, and so much more. Thus equipped, she traveled the world, always writing, always adding new stories to her collection. 1. 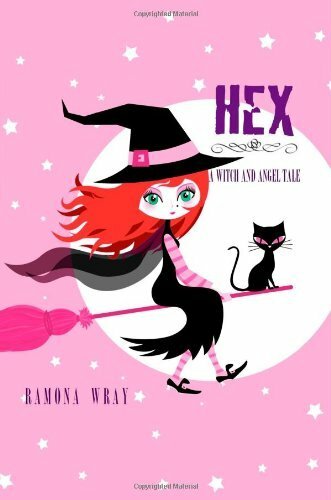 Ramona, is there a story behind the story for Hex, A Witch and Angel Tale? RW: Not really. I was watching Bewitched one day, and thought: “I should definitely write about a witch”. The actual idea came to me in the shower; I had a glimpse of a scary-powerful, yet totally powerless girl, caught between two boys and pulled in opposite directions by forces she doesn’t understand. What would she do? How would she cope? Overall, Lily made for an intriguing character. So I sat down and wrote her. 2. In your opinion, what do you think are the best and worst aspects of being a writer? RW: Huh, I never thought about this before. I guess writers are lucky people, in the sense that, if the world should collapse around me, if I’m in the middle of writing, I’d never even notice it. Writers get to walk in worlds no one else does, and even more than that, they get to adjust, reshape, and fine-tune those worlds to their own desire. It’s a powerful feeling, this absolute freedom. Of course, there’s a downside to it - writers make for lousy ... everything else, really. I always fall behind on answering emails, I hardly ever throw parties, I often forget to cook. My husband says that even when I go out with him, I’m never really there, that I’m still neck-deep in the story I’m working on at the moment. I’m a bit like Mr. Magoo, you know. It can be irritating to those around me. 3. Any words of wisdom for aspiring writers? RW: I don’t know. I mean, people write because they’re passionate about it. How do you advise someone about their passion? I wouldn’t know what to say at all. 4. Is there anyone who inspired you to be a writer? RW: My father had a friend who worked at a local newspaper. One day he showed this man one of my short stories (I must have been eleven or so), and the guy liked it so much he printed it the next week. It was a rush. And then when I was about twelve, our Romanian Lit teacher gave us this assignment - write a fairy tale. God rest her soul - she died in the meantime - but she was so amazed by what I wrote, she congratulated me and told me I had talent and that I should pursue it. I guess it was a defining moment for me. It made me think about things. 5. Now for the most important question. The world has been taken over by robots bent on enslaving humankind, which super-hero would you pick to save the day? constantly when I'm in need of a good dose of sophisticated humor. Aside from smiling, I usually end up sighing a lot while I read. living in Italy (and that happens a lot). impact - blows me away. and characters. She's a very elegant writer. Thanks Ramona for stopping by and for the the great answers to my questions. Ramona was nice enough to not only participate in a guest post/short interview, she also kindly offered one lucky reader a chance to win a copy of Hex, A Witch and Angel Tale. Following not required, but always appreciated. Ends April 16 at 11:59 pm. Winner will be notified by email and will have 48 hours to respond before a new winner is chosen. To enter please fill out form. Because I'm in the mood to do another post and my eyes itch entirely too much to sit down and read (sad, I know), I thought I'd regale ya with links to what the blogs been up to this past week. Hope y'all don't mind the slightly out of the norm post. My Soul to Take by Rachel Vincent. Come see why I thought it deserved 5 pineapples. The Inheritance Cycle final cover/title/publication date reveal. At long last news on the last book by Christopher Paolini in the Inheritance Cycle. No let the joyful squeeing begin. Also check out my post where I test the waters to see who would want to do a reading challenge for the series. Last bit of Inheritance news on my blog this week. Due to the positive feedback from fans of the series, I have already put together the The Inheritance Re-reading Challenge (open to long time fans and those reading it for the first time). For all the deets and to sign up visit the link. 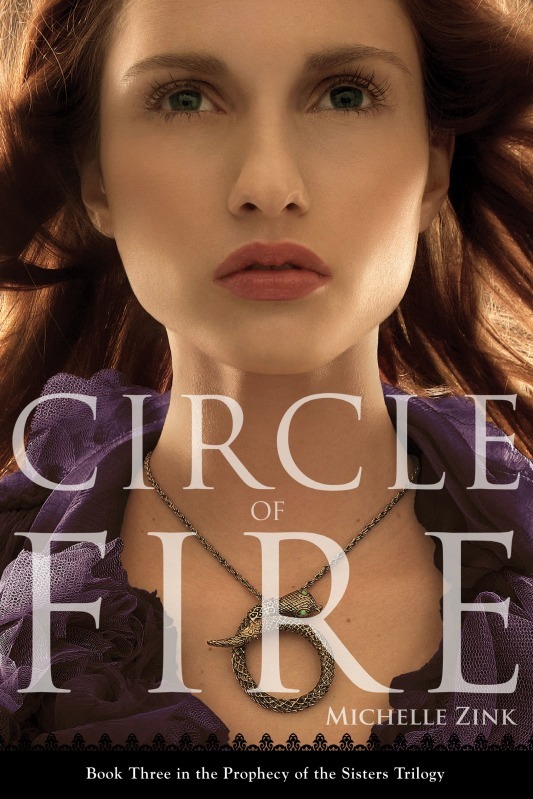 Cover Reveal for Circle of Fire by Michelle Zink. I cannot believe that the series will be drawing to a close later this year, but I am glad to see that the the last cover is just as awesome as the first two. Where I made a post about Leah Clifford's author copy contest. Teaser Tuesday featuring My Soul to Take by Rachel Vincent. I can't believe I've already done over thirty of these posts. 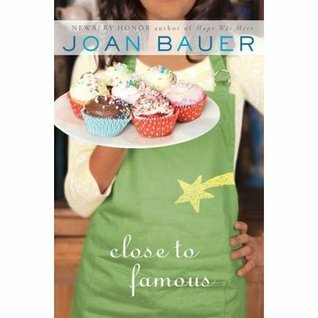 Wish List Wednesday in which I wish for Close to Famous by Joan Bauer (much love for this author). IMM, in which I have a very awesome week in books. Plus you can check out what my librarian lent me. So I'm thinking of changing the name of my newest feature (Time Warp). I like the name, but I have an even better name for it. 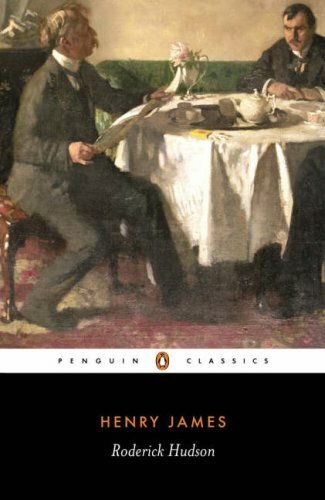 What do y'all think of Vintage Reads? There's also still a couple of days left to vote for next months read. I'd really appreciate y'alls help with picking what will be the first official read for my feature. To see the list of awesomesauce books and to VOTE for what you think I should read go -> HERE. Let me know if y'all would like to see this be a regular staple at The Haunting of Orchid Forsythia. Maybe y'all can even think of a shorter name for it...hmm. In My Mailbox was started by Kristi of The Story Siren and inspired by Alea of Pop Culture Junkie. Sadly the only books I order are those that are hard to find. The following books are from the library and bookstores. Exodus (Exodus, 1) by Julie Bertagna, 2002. Published by Macmillan Children's Books. 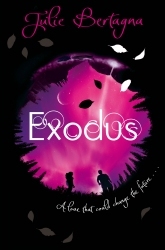 I am really excited about winning Exodus. What really made me want to enter to win this book was that I was intriqued by the synopsis, especially when I read that the world would be one nearly unrecognizable to us (technology doesn't work anymore...creepy). A huge thanks goes out to MyKindaBook. Hold Still by Nina LaCour, 2009. Published by Dutton Juvenile. While Hold Still isn't something I would normally read, I am looking forward to giving it a go. 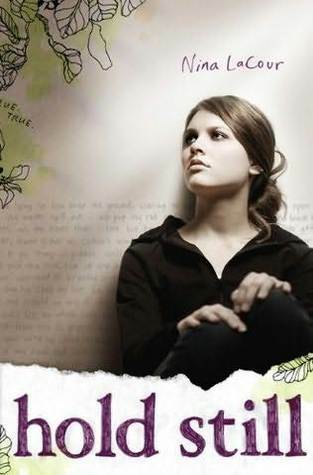 Especially since both Melissa of YA BookShelf and ZG of Crackin' Spines & Takin' Names say that it's a incredible read. The Lost Saint (The Dark Divine, 2) *signed Despain, 2010. Published by Edgmont USA. I must have had a mind blank, because I didn't even realize that I had won two copies of The Lost Saint. No worries though because it has already found a new home. 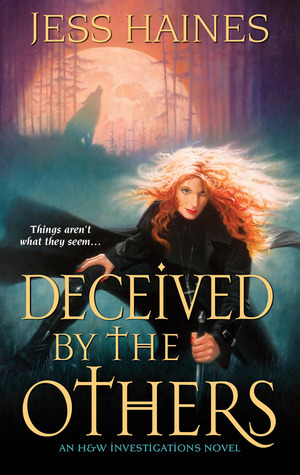 Deceived by the Others (H&W Investigations, 3) ARC by Jess Haines, July 5, 2011. Published by Zebra. Dceived by the Others has to be the biggest surprise that I got in the mail this week. I totally wasn't expecting it! A very big thank you goes out to Jess Haines for sending along a copy for review. Beauty Pop 1 by Kiyoko Arai, 2005. Published by Viz Media. 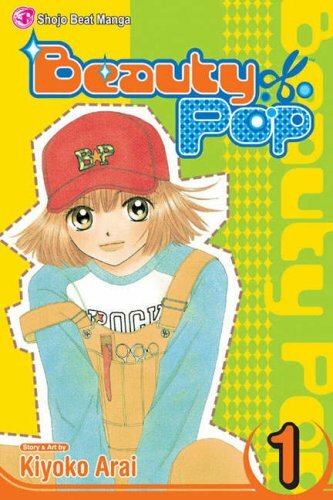 I already had the chance to read Bauty Pop and let me just tell you it was great. I loved Kiri, she was so funny and just such a greatt character. 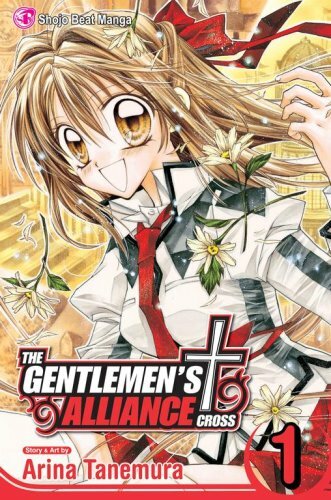 The Gentlemen's Alliance †, Vol. 1 by Arina Tanemura, 2006. Published by Viz Media. I haven't had a chance to start on this one yet, but it sounds like its going to be really good. I'd like to send out a huge thanks to M, one of the nicest librarians I've ever met. She has been so nice as to let me borrow (again) a couple of her personal mangas (there aren't very many in the library system and she knows how much Ienjoy reading them). So that is all for me this week in books and it looks like I'll be quite busy for the next few days. 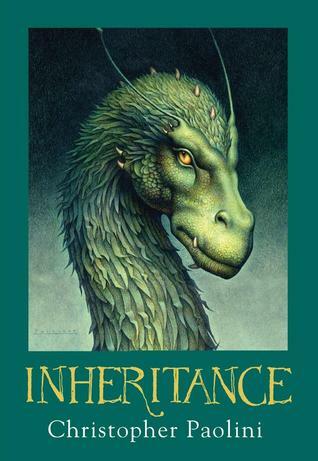 Sign-ups for the Inheritance Cycle Re-Reading challenge are now open. You can get all the deets and sign-up HERE. Cover reveal for Circle of Fire by Michelle Zink. Cover/Title reveal for the final book in the Inheritance Cycle. 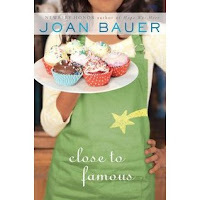 Wish List Wednesday: See why I'm wishing for Close to Famous by Joan Bauer. Teaser Tuesday: My Soul to Take by Rachel Vincent. 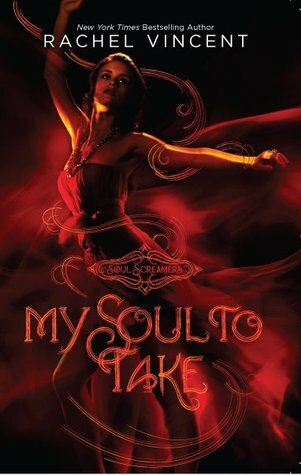 Review: My Soul to Take by Rachel Vincent. and last, but not least. You still have time to enter my latest contest and to vote for what I'll read next month. 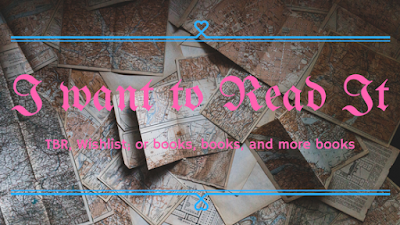 Just yesterday I threw out into the world the idea of Inheritance re-reading challenge and since it was such a big hit I am going to go ahead and launch sign ups for it today. Since every fan of the Inheritance series has been waiting (impatiently) for the final book in the series, I thought what better way to prepare for it then with a reading challenge. That way we can all refresh are memories on what happened and be prepared for the final book. It's also a great way for those new to the series to jump in. The goal is to read Eragon, Eldest and Brisinger between the dates of Oct. 18 and Nov. 8. Followed by the last book, Inheritance, anytime after it comes out. If y'all know anyone who'd be interested in joining in, please let them know. Open to everyone, re-readers and newbies alike. You DON'T need a blog to participate. All you need is to want to join in....and leave a comment to let me know if you don't have a blog, but still want to join in. Feel free to write a post (no pressure). Enter via comments and I'll link your name and blog in the post body. Updated: As you can see I have (finally) made the button for the challenge. Hope y'all like it and can read the text. If you would like to snag the challenge button for your blog, just visit the sidebar on the right. Thank you to everyone who has showed so much interest in joining, y'all rock. If ya'll are interested in doing a guest post for the Inheritance Challenge, stop by this post for the details. WildIrishRose33 @ Shhh.... Not While I'm Reading! Gaby @ Oh My Books! As you've probably guessed by the posts title, author Leah Clifford is having one fantastic contest that you MUST absolutely go and enter. No go forth my lovelie followers and enter away for for your chance to win one of the awesome prize packs. For rules and deets on how to enter click HERE. The Inheritance Cycle Re-Read Challenge...Anyone Interested in Joining? As you probably guessed yesterday, I am a HUGE fan of Christopher Paolini's Inheritance books. So I got to thinking that with the release of the fourth and final volume in the series coming up in Novemeber of this year (so excited) that there should be some kind of re-reading challenge to get everyone all geared up for the final book. What do y'all think and would you be interested in participating? Even if you haven't read any of the book you can still take part and join in. This post is just to test the waters and see how many people would actually be interested in taking part. Also to see what kind of time frame everyone would need to be able to finish Eragon, Eldest and Brisinger. I know that I could read all three in a week, but I don't want to make the window too short for those with super busy schedules. All thoughts and suggestions are welcome. I'm thinking either the last week of October till November 8th when it releases for the challenge. Let me know what y'all think. Does anyone want to make a button for it (I'm not very artistic)? So there are very few series that I LOVE so much that I'd write a whole post just to show you lovelies what the last Prophecy of the Sisters cover is going to look like. Case in point I did my first one yesterday with the long overdue news about the Inheritance, but today I'm showing you one of my new favorites. I'll quit babbling now and let the pretty cover talk for itself (hope y'all love it as much as I do). Isn't it beautiful? I absolutely love it. According to author Michelle Zink it will be released August 3rd. Y'all go and visit her and let her know how much you love this cover. 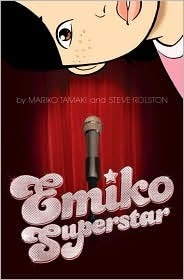 Emiko Superstar by Mariko Tamaki and Steve Rolston, 2008;176 pages. Published by Vertigo. Source: Borrowed from library. Author Tamaki and artist Rolston offer a light but charming fantasy for awkward girls everywhere. Emiko, a half-Japanese, half-Caucasian Canadian, is a self-described geek facing a summer of babysitting and isolation. Things change when she stumbles upon an underground performing art scene inspired by Andy Warhols Factory. She eventually takes to the stage, dressed in her grandmother's mod outfits from the 60s, and achieves minor celebrity. Soon, though, Emiko must face the troubling complexities in the lives of her new friends and the consequences of her own questionable actions. So I have no read almost all of the graphic novels that were published by DC Comics, Minx imprint (which is sadly no longer around). For this review I'm just going to get right down to nitty gritty of what I thought about it. I ask that y’all also bear with me if my review reads weird today; I've had a case of bad allergies and a little bit of a cold (and have been taking Benadryl). While I really like the underlying message of Emiko Superstar, I find that on a whole I only kind of liked it. I know odd, usually I either love something or I don't like it which is making it kind of hard writing this review. I really enjoyed reading about Emiko trying to break out of her awkward/shy shell. I thought she was a decent character...although a bit of an odd bird. I think that Emiko Superstar did a brilliant job of showing that other people’s lives aren't always as picture perfect as everyone expects. I now I'm doing a horrible job of describing this, but it was just interesting to see what Emiko did once she found out the truth about some of the new people in her life. I didn't much care for the whole underground performance art thing, the "artist" were just a bit too weird for me. Another thing I didn't really like about Emiko Superstar was that there was smoking and drinking in it, while it fit in with the character of those who were doing it, it was just kind of turned me off from enjoying this book more. Artwork: The artwork for Emiko Superstar was interesting, but definitely not one of my favorite styles. I found it to be...well a bit clutter and like there was a little too much going on in a few of the panels. But while I didn't much care for the art I liked the story. Emiko Superstar earns 3 1/2 pineapples. 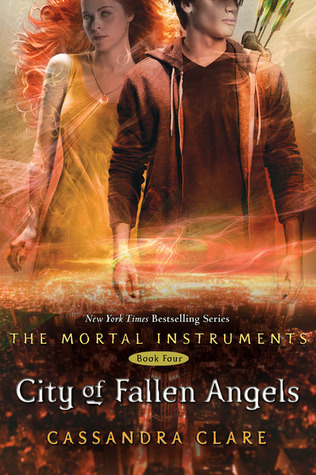 I personally love the title and think that it's extremely fitting for the final book in the series. Look for it November 8, 2011. I know that I'll be one of the first in line to get it. Is anyone else planning on re-reading Eragon, Eldest and Brisinger before the release of Inheritance? I know that I am. Hope y'all are just as excited about this as I am. Close to Famous by Joan Bauer, 2011. Published by Viking Juvenile. Foster McFee dreams of having her own cooking show like her idol, celebrity chef Sonny Kroll. Macon Dillard's goal is to be a documentary filmmaker. Foster's mother Rayka longs to be a headliner instead of a back-up singer. And Miss Charleena plans a triumphant return to Hollywood. Everyone has a dream, but nobody is even close to famous in the little town of Culpepper. Until some unexpected events shake the town and its inhabitants and put their big ambitions to the test. Full of humor, unforgettable characters, surprises, and lots and lots of heart, this is Joan Bauer at her most engaging. Why: When it comes to books that have absolutely no supernatural or paranormal elements Joan Bauer is one of the first authors that I'll turn to. Out of all the books that I have read by her, so far, not a single one of them has left me unsatisfied or wishing that I hadn't read it, so I'm definitely looking forward to getting my hands on her latest book Close to Famous. In honor of finally finishing and publishing my review of My Soul to Take, I decided that this weeks teaser would come from the same book. Hope y'all like it and will check out my thoughts on it. "That could be either one of us tomorrow." Her gaze turned my way, clearly including me among the potential victims of...um...dropping dead for no reason. page 67-68. My Soul to Take (Soul Screamers, 1) by Rachel Vincent, 2009; 279 pages. Source: Contest Win. After having been waiting on my TBR Stack since early December, I finally (on a whim) picked up My Soul to Take to read, and now I'm left wondering WHAT TOOK ME SO LONG to start it. Sorry for the excessive use of caps lock, but I ended up really enjoying it. What really made My Soul to Take a great book for me would have to be that I loved the fact that it wasn't about your typical supernatural/mythological being. Come on, there are like a ton of YA/Adult books were that have either vampires, werewolves, or the fae ect... or any combination of creatures, but as far as I can tell there hasn't been a book about banshee's. 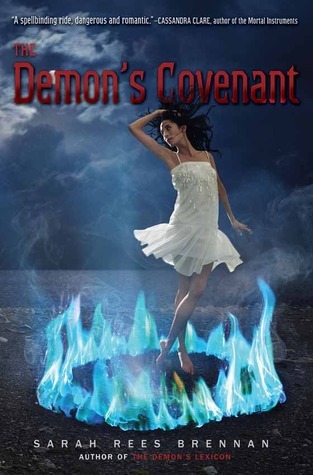 So I really loved how this book broke the paranormal cookie cutter book mold. While I loved reading this book I do have one thing that I didn't like about it (well more something I didn't like about the MC, Kaylee.) I tended to get quite cross with her everytime she was around Nash, why, because she turned into a giant goo-ball. My favorite thing about My Soul to Take would have to be that it didn't take half the book for things to get interesting. This is probably going to sound really weird, but I liked how in the very first you were plunged right into the supernatural element of the story with the first death. The reason that's my favorite part is because with most books like this it can take up to half the book before anything out of the ordinary happens. Again, my least favorite thing about the whole book would have to be Kaylee's gooeiness everytime Nash was around. I found that when characters get like that it tends to turn me off from what would otherwise be an excellent book. Final Verdict: My Soul to Take is definitely a worthwhile read with a new look at the paranormal genre. Although I loved My Soul to Take I still haven't decided on whether or not to read the second book...but if you my lovely readers think I should continue on with the series I am willing to hear your reasons why. My Soul to Take earns 5 out of 5 pineapples. You Killed Wesley Payne ARC by Sean Beaudoin, 2011. Published by Little Brown Book for Young Readers. I absolutely love this cover, so awesome. A YA noir mystery, one can't possible go wrong with that. I'll probably try to get to this one as soon as I catch up on what I'm currently reading. A huge thanks goes out to Donna of Bites. Dash & Lily's Book of Dares by Rachel Cohn and David Levithan, 2010. Published by Knopf Books for Young Readers. 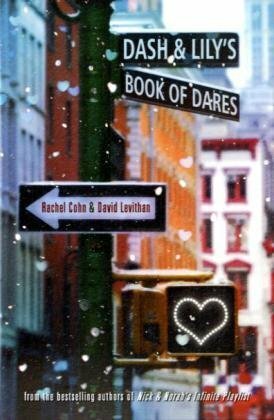 I've heard great things about Dash & Lily's Book of Dares, along with the other books by Rachel Cohn and David Levithan, so I'm really looking forward to reading it. I'd also thank Lauren of Random House for sending after the first one got lost in transit (thanks so much). A huge thanks goes out to Random House, I won this book during one of their Twitter giveaways. May (Daughters of the Sea, 2) by Kathryn Lasky, 2011. Published by Scholastic Press. 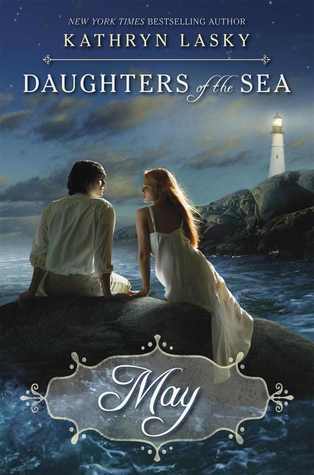 So May, the second book in The Daugters of the sea, would have to be the biggest surprise that I got inmy mail this week. Why? Because I'm pretty sure that I didn't enter any contests for it, and it wasn't something I requested, but it sounds like a great read and I'm looking forward to reading it after Lent. Since my library has the first book I'll be checking it out to read before I start on this one. A huge thanks to Scholastic for the surprise. Fruits Basket 21 by Natsuki Takaya, 2006. Published by Tokoyopop. 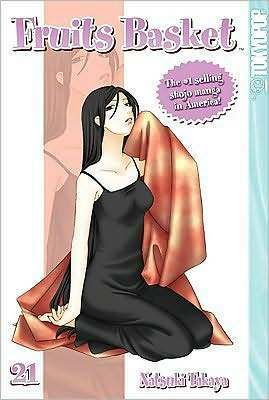 Fruits Basket 22 by Natsuki Takaya, 2007. Published by Tokyopop. Fruits Basket 23 by Natsuki Takaya, 2007. Published by Tokyopop. Oh my gosh! I cannot believe that I am about to read the final three volumes of Fruits Basket. I am seriously going to miss this series once I'm done with it. One day I hope to have all 23 volume, which means I have 22 volumes left to buy. As I said, I'm sad to see that I have come to the end of Fruits Basket, which has been one of my absolute favorite mangas to read since I first found it, but I'm also really excited to see how it all plays out in the end. I'm really quite excited that my library has the first book in The Daughters of the Sea series, which means as soon as Easter rolls around I'll check it out so that I can read book two. I enjoyed Fade to Blue, so I'm really looking forward to getting to read You Killed Wesley Payne. Hope y'all have had an awesome week in books as well (Looking forward to seeing what everyone got this week...and maybe adding to my wishlist). Thanks to PR by the Book, one lucky winner will receive The Dawn Country and People of the Longhouse by W. Michael & Kathleen O'Neal Gear. For more details and to enter click HERE. There's also still time to vote for what I'll read next month for the first official Time Warp read. To see the list of book options and to vote click HERE. Time Warp is where I spotlight some of the older YA titles that I have sitting on my shelf. My review of People of the Longhouse (it earned 5 pineapples). My review of The Dawn Country (also received 5 pineapples).